Showing 25 articles from February 21, 2018. LOUISBURG -- The Franklin County Board of Commissioners agreed to begin what could be a $2.6 million emergency radio and radio system upgrade. The initial commitment comes on the heels of the county providing the Harris Corporation with just more than $125,000 to close out a $10.7 million contract to overhaul the county's emergency radio system. 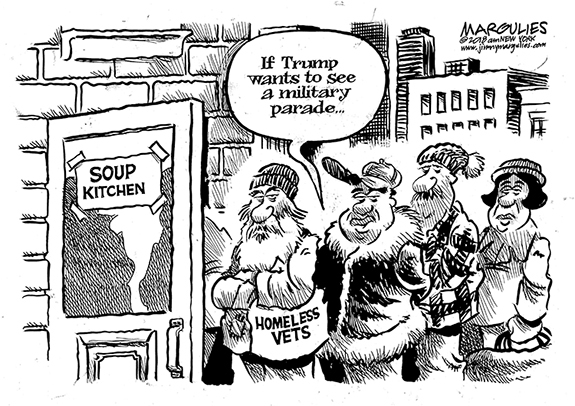 TOP CITIZEN. Twig Wiggins accepts the Citizen of the Year honor from last year's recipient, Betsy Benning. 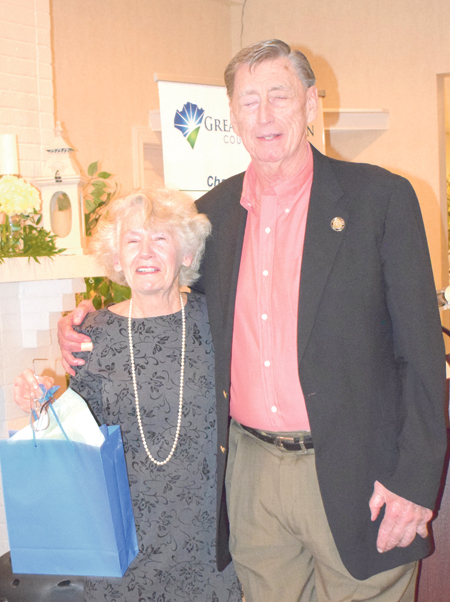 LOUISBURG -- The Greater Franklin County Chamber of Commerce held its annual banquet last week, presenting its new executive director and expressing its desire to grow, expand and flourish in 2018. The keynote speaker, former football player turned farmer and community supporter Jason Brown, talked about how family, faith, vision, fearlessness, education and love factor into the organization's theme this year -- The best is yet to come. LOUISBURG -- Franklin County Commissioners agreed to dissolve the Franklin County Airport Commission, reinstating the once-quasi governing board as an advisory council. Monday night's decision was made at the request of the airport board, itself. Could hemp become a new cash crop? LOUISBURG -- Jim Ward grows wine grapes and asparagus on his patch of earth in Durham, but he was thinking about another crop that just might generate a bit more green -- industrial hemp. Ward was one of about 75 farmers who attended Franklin County's Successful Small Farms Opportunities Conference -- an annual event that gives farmers the tools they need to expand the operations they do have or serve as inspiration for what they could become. LOUISBURG -- Education is not usually a major topic at a Louisburg Town Council meeting but the exception to that "rule" was Monday night when both Dr. Gary Brown, the new president of Louisburg College, and Dr. Rhonda Schuhler, the relatively new superintendent of Franklin County schools, visited. 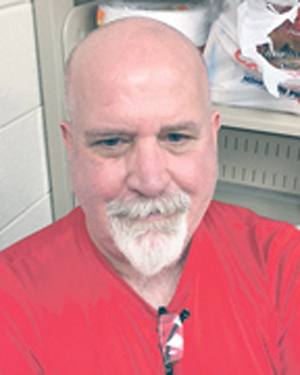 Four key words -- "clean opinion" and "revenue neutral" should be enough to put smiles on the faces of both Louisburg officials and residents following Monday night's town council meeting. First, town auditor Dale Place said the town received a "clean opinion" on its audit, meaning no major problems were found. 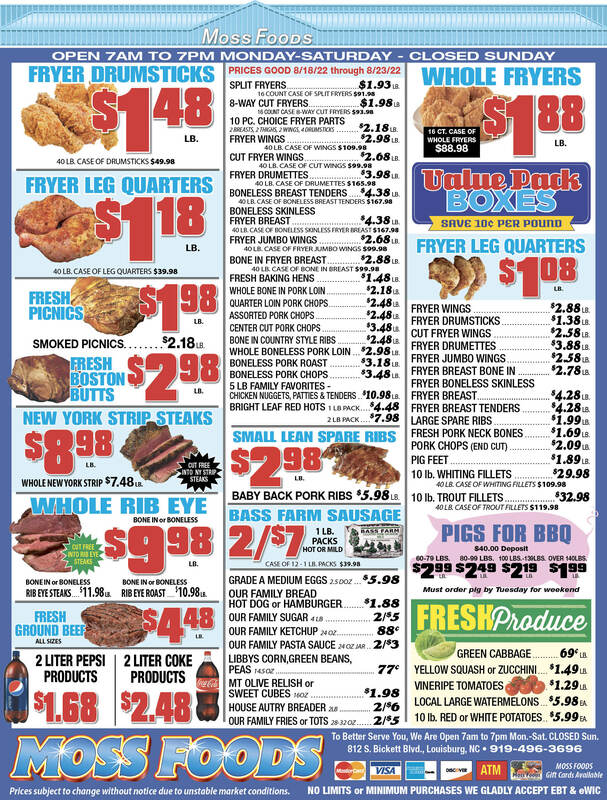 As we're sneaking up on the end of February, which is almost no one's favorite month around these parts, Mother Nature is giving us a little spring-like warmth and the rain showers are needed, even if they make for some dreary days. But have patience, sunshine, Carolina blue skies and some above-80-degree temperatures are a lot closer than they were and soon we'll all be griping about mowing the grass and weeding the garden. Oh, no! Please, tell us we're not going down that road again. Many Franklin Countians have troubling memories of the last time county officials re-evaluated real estate property for tax purposes. 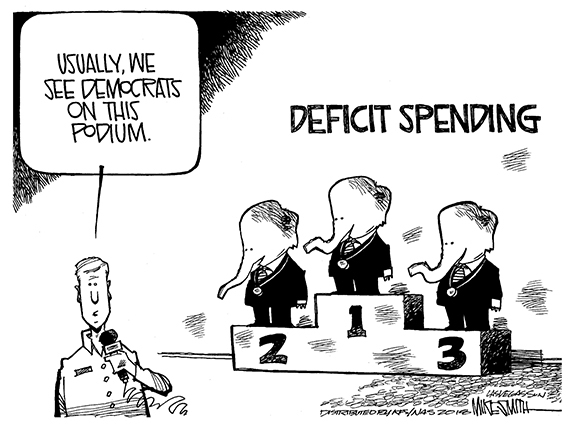 It was a fiasco that began as a disaster and went downhill from there. If you've been keeping up, the opioid epidemic hasn't gone anywhere. LOUISBURG--Funeral services for Denise "Weenie" Jacobs Crudup, 45, who died Sunday, Feb. 18, 2018, will be held Saturday, Feb. 24, at 11 a.m. at Lifeline Outreach Ministry in Louisburg, with Apostle Barbara Thomas officiating. Burial will follow in the M. H. Jones cemetery. BUNN -- Wild. Crazy. Almost beyond belief. 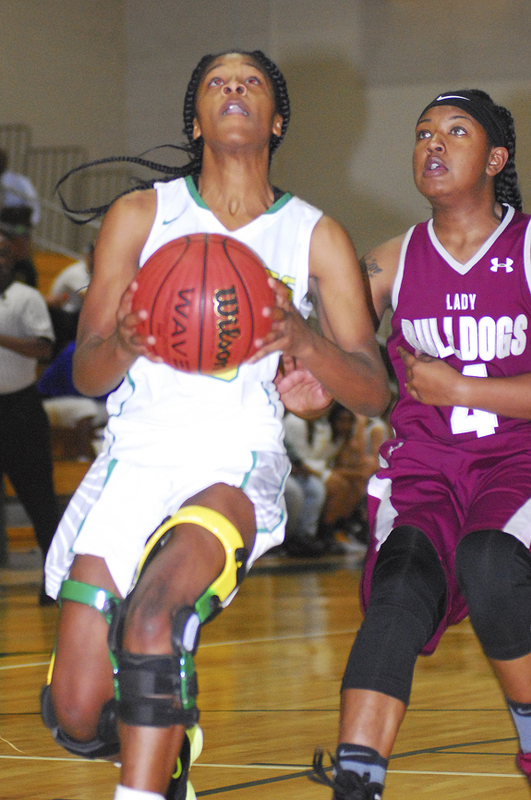 Those are about the best available adjectives to describe Tuesday's matchup between Nash Central and host Bunn in the opening round of the Class 2-A Girls Basketball State Playoffs. THE DYNASTY CONTINUES. 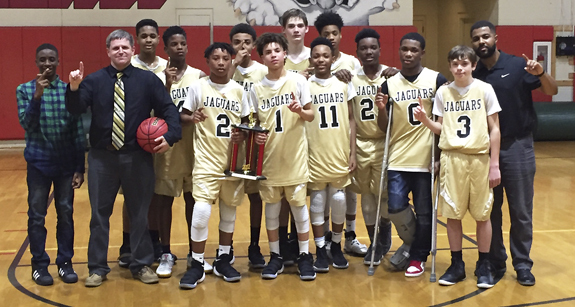 The Cedar Creek Jaguars have captured another Middle Athletic Conference Boys Basketball Tournament crown. YOUNGSVILLE -- When Scott Bond arrived at Cedar Creek Middle School 13 years ago, little did he know at the time that he would be part of one of the greatest all-around sports dynasties in the history of the Middle Athletic Conference. As a head coach, Bond has been a part of 12 MAC champions -- eight in boys track field and four in boys basketball. 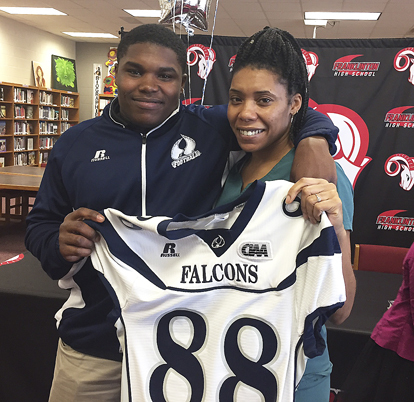 FRANKLINTON -- Franklinton's E'Kwon White had several choices to continue his football career on the next level, but one school stood out to White -- and FHS head coach JeVar Bransome. That school was St. Augustine's in Raleigh, which has backed up last year's CIAA Southern Division Championship with a strong recruiting class. 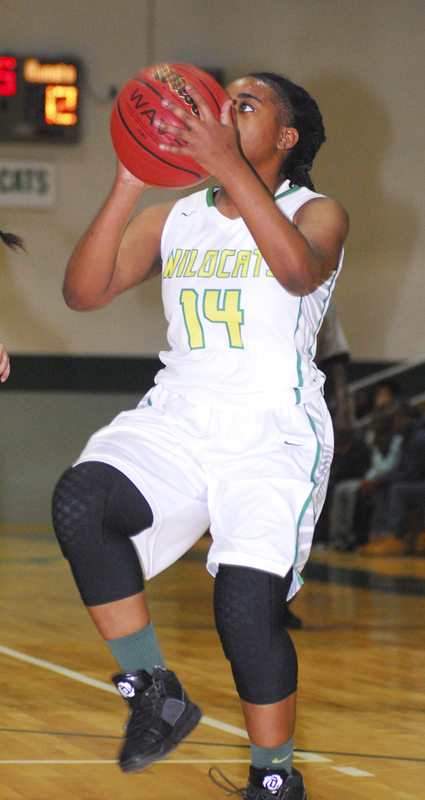 BUNN -- Bunn was able to slide past Southern Vance twice in the regular season in Northern Carolina Conference girls basketball action. 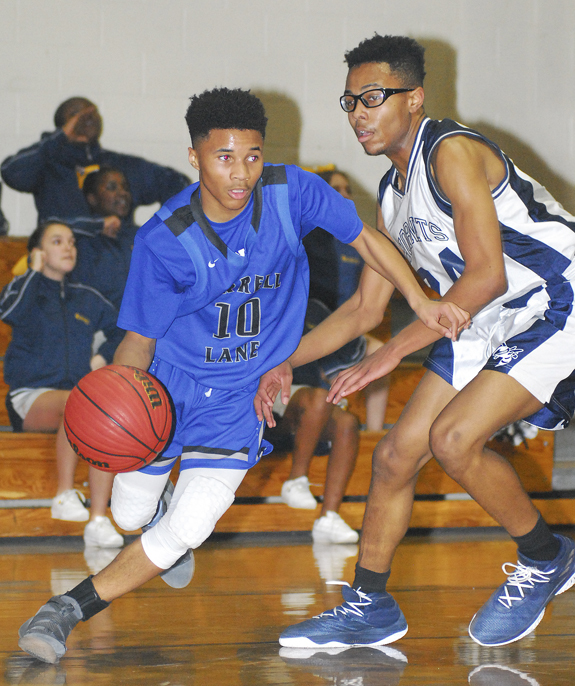 But neither decision came in dominant fashion -- a fact that left the BHS coaches a bit uneasy heading into the third meeting between the clubs as part of the NCC Tournament semifinals last Thursday at the Bunn Dome. 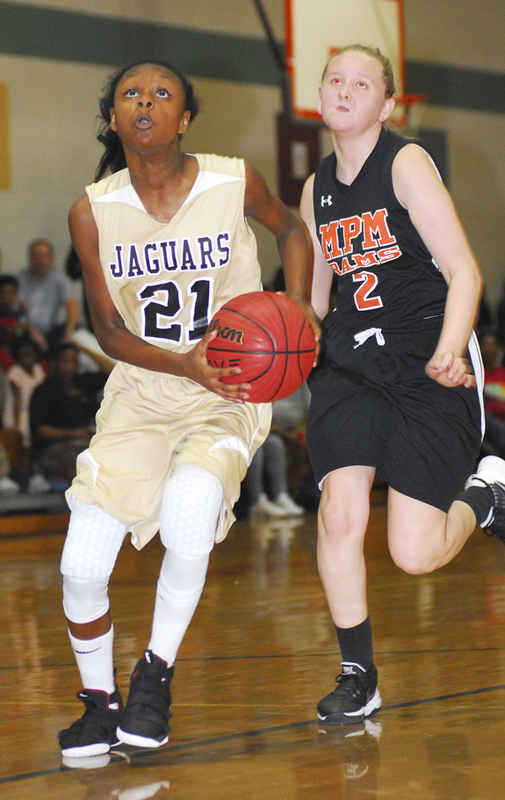 BUNN -- So much for the theory that Cedar Creek Middle School's girls basketball program would embark on a downswing after last year's graduation of an amazing class that featured several current standouts on the Franklinton High School varsity -- including scoring whiz Miracle Cornell. LOUISBURG -- The close of the 2016-17 season was both a time of celebration and a reality check for the Terrell Lane Middle School boys basketball program. TLMS had just won the Middle Athletic Conference Tournament championship, so there were plenty of reasons for jubilation at the Louisburg school. But the Tornadoes were also about to graduate a strong eighth-grade class, including Elijah Jamison, who became an instant star on the hardwood this winter for the Louisburg Warriors. ROCKY MOUNT -- Aaron Denton is coming home -- or at least much closer to home. Denton, a Bunn High School graduate who went on to serve as the men's basketball coach at Louisburg College, has been selected as the new Vice President and Director of Athletics at North Carolina Wesleyan College in Rocky Mount. ON HIS WAY TO KANSAS. 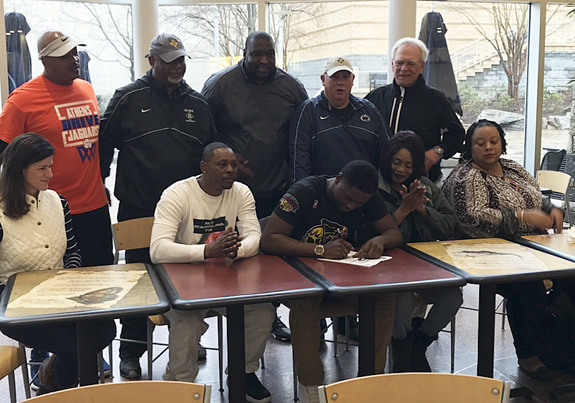 Former Bunn High School football standout Celik Curtis signs a letter-of-intent recently to continue his career at Garden City Community College in Kansas. Celik, who attended Fayetteville Village Christian Academy this past season, is joined by several friends, family members and coaches at the ceremony. ZEBULON -- The Carolina Mudcats will hold open tryouts for National Anthem singers on March 10 from 10 a.m.-Noon at Five County Stadium in Zebulon. Registration begins at 9:30 a.m. on the Highway 264, third base side of the stadium. Auditions will be held on a first-come, first-served basis. 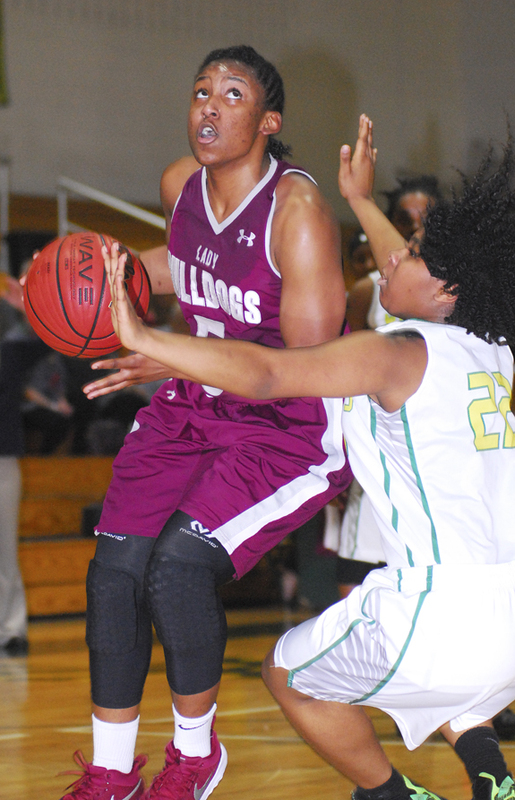 Nash Central's Robbi Allen (left) had a big night for the Lady Bulldogs during Tuesday night's overtime win at Bunn in the first round of the Class 3-A State Playoffs. LOUISBURG -- Depending on the outcome of the sheriff's race this fall, Franklinton could be looking for a new police chief. Police Chief John Green Jr. informed town commissioners that he will be supporting Jerry Jones in the spring primary and, if successful, the fall election. If Jones were to win, Green would join his command staff at the sheriff's office. LOUISBURG -- The State Highway patrol charged a Franklinton man they allege was at fault for a head-on collision that injured a mother and killed her 8-year old son, as well as her unborn child. Geoffrey F. Hutchison, 21, was charged earlier this month with misdemeanor death by motor vehicle, reckless driving to endanger, speeding and other traffic infractions related to the Jan. 24 accident.